Hey Friends! Todays i am going to present an interesting article which is based on How To Increase Blog Traffic with Google Penguin. There are some tips and tricks via you can earn an huge amount of traffic for your site and blog. 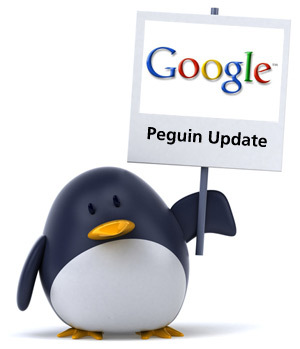 Google penguin becomes the famous topic in the field of blogging. According to latest survey approximately 70 percent bloggers observe a major drop in their traffic but at the same time 30 percent bloggers see a growth of their blog and continously increasing their traffic. Always be unique. As i always said that uniqueness in the field of blogging is must. If you are just posting and posting and not even recognize what the readers want than you and your blog can not go ahead in future. Uniqueness is the weapon via which you can lead to success. If you are update what the other blog post than you can not able to boost high traffic for your blog. So be unique, attractive and creative. As we all know that if you want an popularity in a very short period of time than social media is the best place for that. Yes! you can get in a huge amount of readers and visitors only if you promote your blog and post on social media networking sites like Facebook, Twitter, Google+, LinkedIn etc. Through social media you can promote your blog and its obvious you get huge traffic and then their is a possibility you get an adsense and start your journey. Guest posting is consider as the best method to promote your website and targeted huge traffic. Through guest posting you get an backlink of that particular website/blog which help you further for earning an PageRank (PR). Try to get more backlinks as you can. Just commenting on those sites whose have an quality background and popularity on Google index and also have an good page rank. But yeah, remember do not commenting spam comments on othe sites. Also do not approved spam comments on your site. Most of the bloggers only publish comments on different blogs for sake of getting backlinks but after penguin update those blog will be penalize which are spammed on entire internet. Always write those articles which are demanded in the market. Do not try just copy and paste on your blog. Google has highly professional machineries which operates on automation and notes moves of each and every second. If we avoid duplicate/copied material than guaranty on next Penguin update almost 40% of our blogs/website traffic will be increased. You have to create an unique, attractive and realistic list of goals so you can slowly and continuously build your popularity. 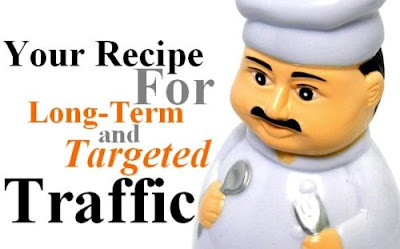 You will be rewarded as you gain both traffic and improved search engine rankings. Also you have to increase your blog crawl rate because its very important to be ranked at the first three pages of Google. If you just write and write and Google didn't even noticed it and does not indexed in search pages than all your hardworking not even worth it! So try to increase your blog/site crawl rate. Search Engine optimization (SEO) is the most important way to get notice in Search engines but nearly the majority of bloggers are using the wrong SEO techniques known as Black Hat SEO. So avoid to use these types of techniques because if Google can see that than no body can protect your blog from ban or being punish. If you are thinking that you get backlink from other blogs only through comments than you are wrong because after Google penguin update, Google is monitoring and have an eye on each and every thing if they found you spamming URLS then they will punish you or may be cancel your adsense account. So be beware!